This was one of the first books I read from this author in her Silver Chronicles series, containing more mature women as the central character. 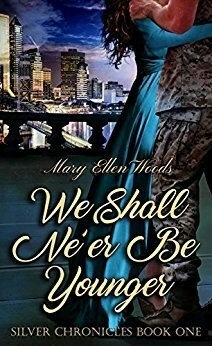 It was well done and I recommend it for any adult who likes romance with engaging characters who keep you wondering if it will all work out. It was realistic and believable contemporary romance. It’s nice to know that you can find love after fifty. I ‘met’ Ms Woods on Goodreads in a group where I go for information and help. Like me, she isn’t young and wanted to write something for the older, more mature audience (like my first book, Abilene where the heroine is fifty). The main character was someone I wanted to hate, but couldn’t. She was everything I wasn’t…thin, tiny, athletic…etc. Being an amazon can be difficult at times..lol. Even though she was this tiny thing, I could relate to her feelings and longings. I was rooting for her after I got over her being what I never was (tiny). I guess I should explain how I’m 5’9″ and am about 180 pounds. (Only up forty pounds from when I was twenty and I blame every bit of it on my four children….hehehe.) I was always the tallest kid in the class until I got to high school. Then again, I come from a family who are big with the men ranging from 6’4″ to over 7′ tall. No, I’m not giving you a blow by blow rundown of the book. You need to read it. I do know I want a Mike but it’s unlikely as most of them want that tiny little thing. It is a fun book to get into, to get it and read it. It’s free for now. I do encourage you to get it, even if you are younger, as it is a great story, which is well written. 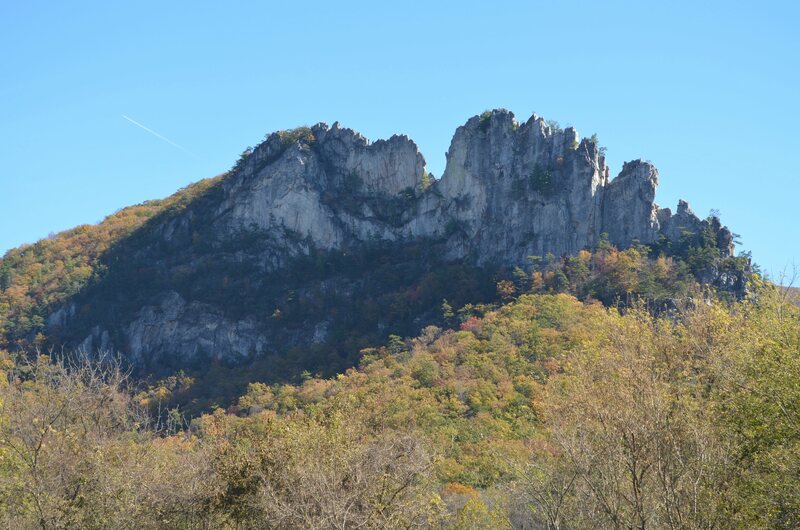 This is Seneca rocks which was near the West Virginia/Virginia border. 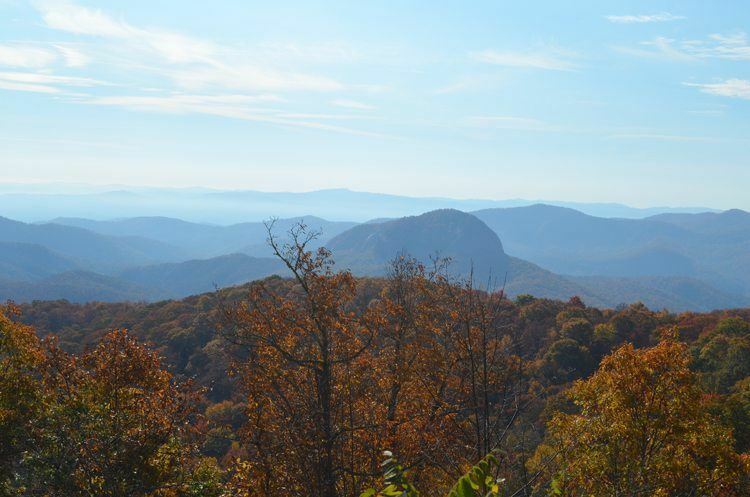 We Shall Ne’er Be Younger takes place in Virginia. The photos on this website are copyrighted to B. A. Mealer. If you want to use one, please contact her for the appropriate permissions and releases.